My baby brother came to visit for his university spring break so we headed up to Edinburgh for a few days. The city itself is really beautiful. The architecture is remarkable, the people are friendly…. 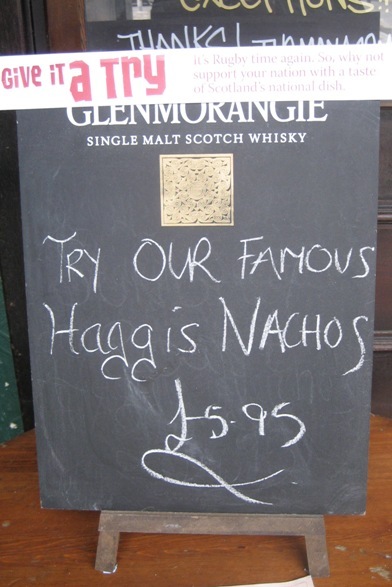 …and the haggis for tourists is abundant, sometimes presented unconventionally. We checked into our hotel and mostly just learned our way around. We also got a book to help us organize the next few days. 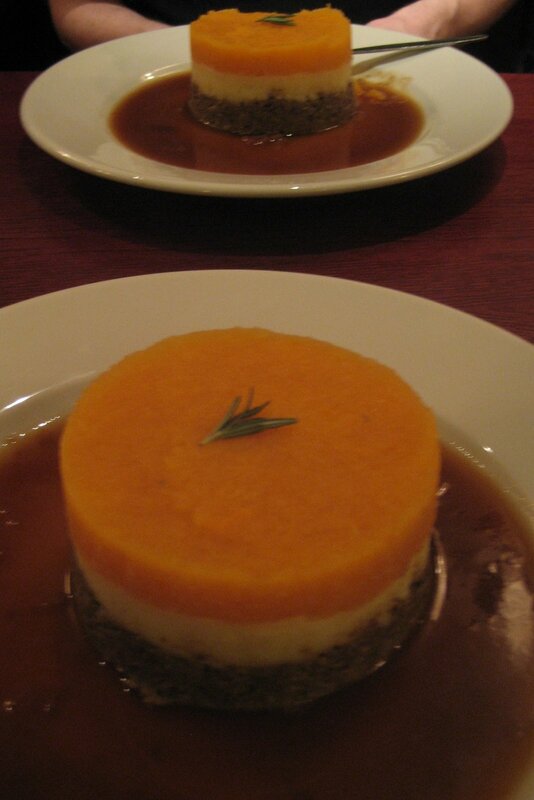 Lunch consisted of my brother’s first haggis in Scotland at The White Hart. The center of Edinburgh is very walkable, and we made our way through the old and new town by walking around the Prince’s Street Gardens, which used to be the north loch, a manmade lake. 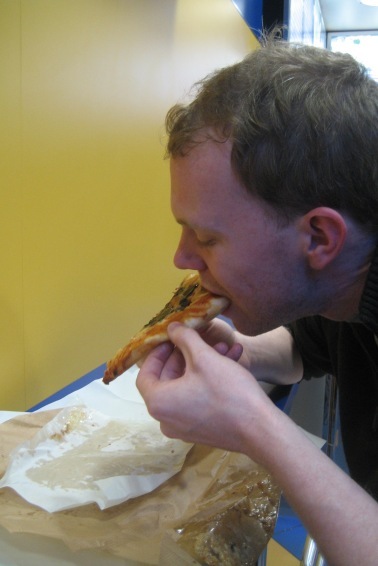 While wandering, we stopped into a fish & chip shop (The Clamshell) that sold Deep Fried Pizza, which was high on my brother’s to do list. It was the first of many deep fried things to be consumed on the trip. For dinner, we found a local spot called Howie’s, which I’d recommend. 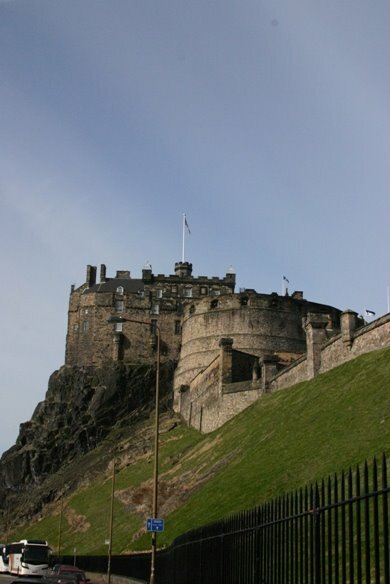 We started off the day at Edinburgh Castle, which stands on a hill overlooking the city center. The castle’s history is extensive, from its time as a defence fort to when its prison held prisoners of war during WWII. Wandering around the castle, audio guide and all, took us about 2.5 hours. pig displayed in the window. The sandwiches were every bit as good as anticipated. 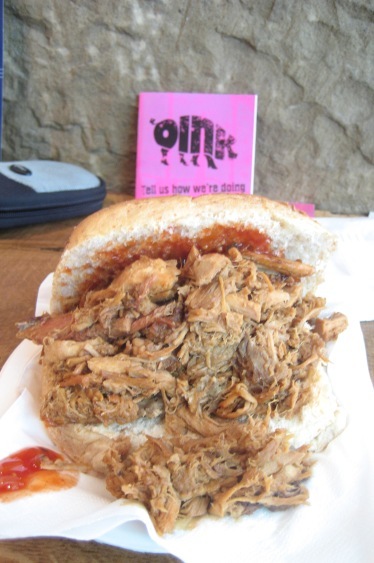 We went with the Pork Roll with a bit of haggis and chilli sauce, as recommended by the guy who served us. Edinburgh was bit colder than I had planned on, so after lunch, we went on a trek in search of polar fleece. Most of the shopping is in the New Town, and we found quite a few places well equpped to sell me some extra layers. Fleece acquired, we headed up to the Royal Mile, had a deep fried Mars Bar (my first and Kiely’s second), and decided to walk the length of it. 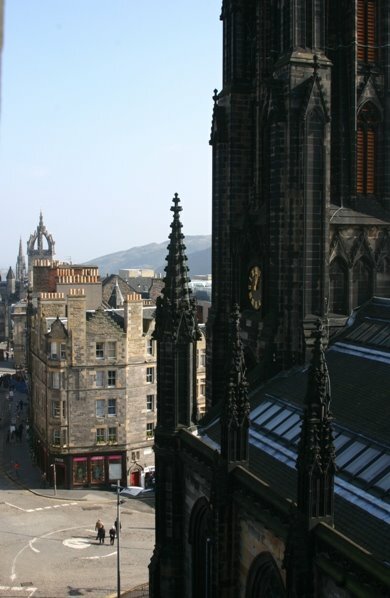 This street is called The Royal Mile because it connects the one mile separating the Castle and Holyrood House, which is the Queen’s residence in Edinburgh. Along the Royal Mile, we stopped in at The People’s Story Museum, or as my brother called it, “The Museum of the Poor”. 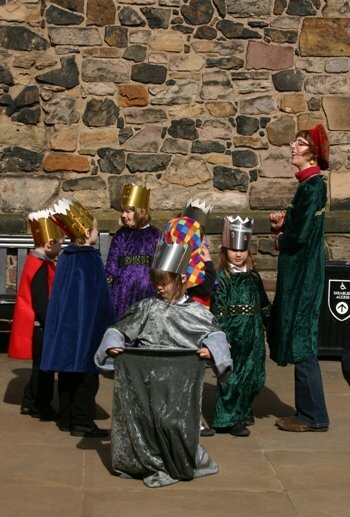 The exhibits were intended to provide insight to practical life in Edinburgh from the 16th century to the present. We then wandered back up the mile, with stops for refreshments, and headed to the Mary King’s Close Tour. A Close is a narrow street, and a number of these streets are visible from the Royal Mile. A number of them served as small neighbourhoods, with housing available several stories underground. The tour took us through one of these, Mary King’s Close. The lower levels of which consisted of small, one room apartments which often held up to ten people. While the close was not underground, it was so narrow and surrounded by 12 story buildings, it might as well have been. After this tour, we took a bit of chillout time, and then went to dinner at the Royal McGregor which came highly recommended by friends back in London. 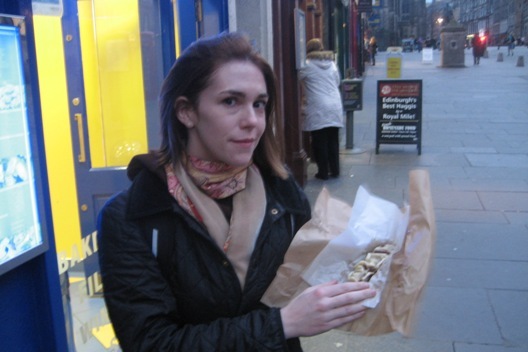 Its signage promised the best haggis in town, so naturally, we had to give it a go. The presentation wasn’t what I expected, as it was much more artistic than I expected from a pub, and it was really tasty. An older, Scottish couple at the next table told us that we should be eating it with Drambuie, so next time, we’ll get it right. A bit of wandering brought us to the Scotsman’s Lounge, which was a lot like a townie Bar, complete with flies, indifferent bartender, and Dire Straits on the jukebox. The pictures in the website make it look much cozier than it actually was, but it did the trick.When the live music started, we decided it was time to go and headed back to the Bow Bar for a bit before calling it a night. This was our Edinburgh Pass day. I didn’t take a lot of pictures on day 3, as most exhibits did not allow photography. We started off at the Surgeon’s Hall Museum, which was closed until noon, despite the Pass’ guide saying it opened at ten. We headed to the Camera Obscura to kill some time. A Camera Obscura is basically a mirror and some lenses that are used to project an image onto a table. 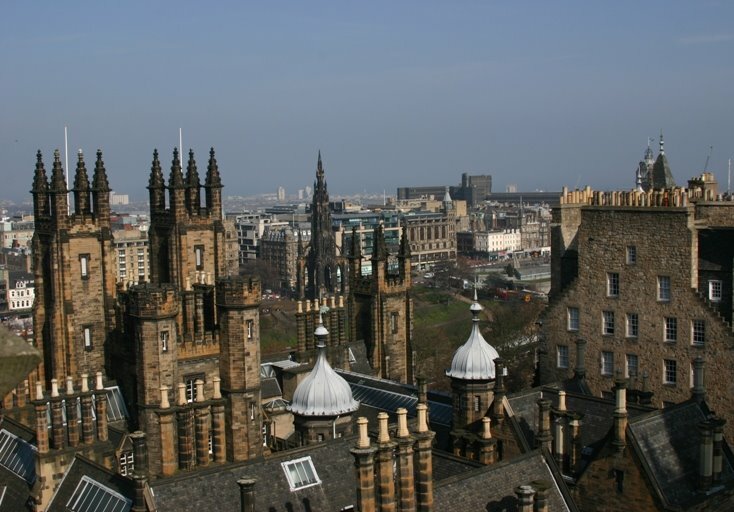 The tour consisted of seeing the camera used and a quick tour of Edinburgh from the camera. The rest of the exhibit consisted of optical illusions, holograms, etc. Had I paid £9 to get in, I’d be sorely disappointed, but as something to do on the prepaid pass, it was fine. We had lunch at Deacon Brodie’s on the Royal Mile and then headed down past the University to the Surgeon’s Hall Museum. I particularly enjoyed this museum, which not only covered the history of Surgery in Scotland and of the Medical College but also included a collection of samples and of medical equipment. After viewing all that fun, we headed back up to the Royal Mile for another battered Mars Bar and headed down towards Holyrood House. Unfortunately, the Edinburgh Pass only gets you into the art gallery at the palace, and such was closed in preparation for a new exhibit. Regardless, we went to the Palace, which included a free audio guide. 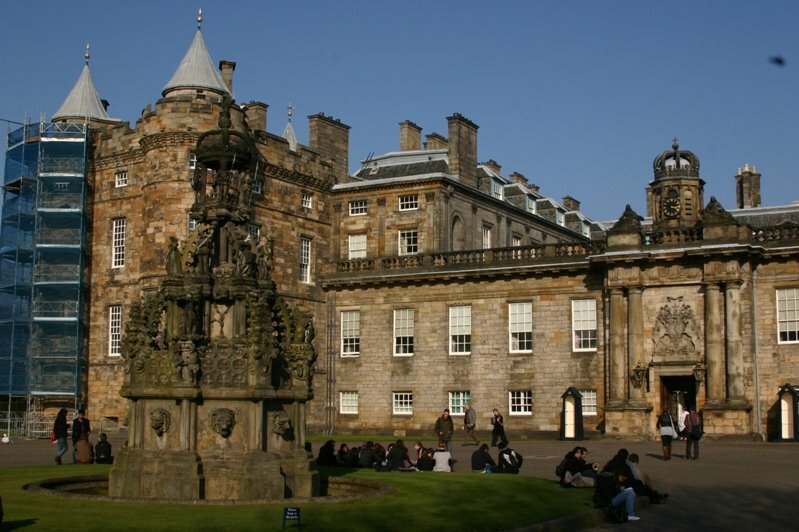 The palace was impressive, and the exhibit included several rooms used for state events as well as the former chambers of the King and Queen, specifically that of Mary Queen of Scots. 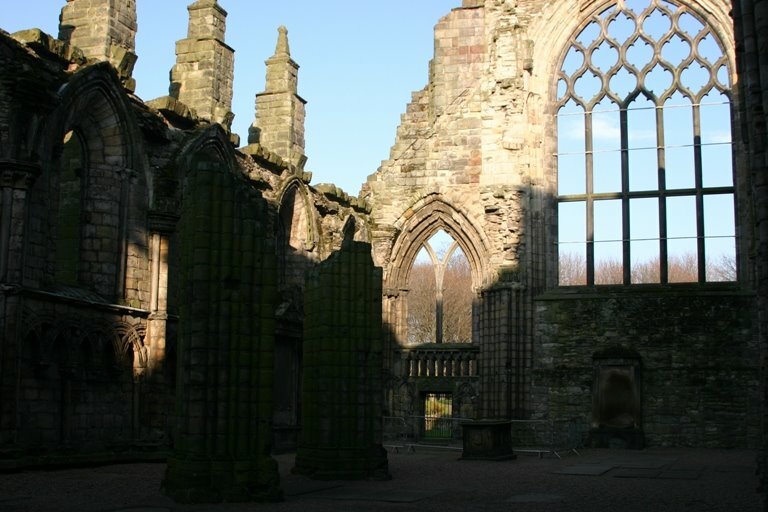 The ruins of the Abbey which was once adjacent were also worth a view. Across the street from the Palace is the new home of the Scottish Parliament, which is open to the public. You can enter the main chamber with a free ticket, and we observed a debate during our visit. After this, we headed back up the mile and to our hotel for a bit of refresh time and headed out to dinner at Indigo Yard before calling it a night. There was sleeping in, a full breakfast, and then we headed to the airport using our return passes from the Edinburgh pass. If you don’t get the pass, the airport bus costs £6 and takes about 25 minutes to get you into town.